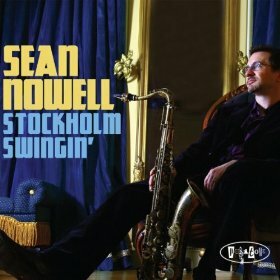 It would be foolish to describe saxophonist Sean Nowell as a 21st century schizoid tenor man, but two distinct strands characterize the New York-based player's work. 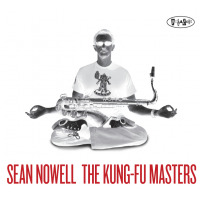 On the one hand, Nowell is active in funk and post-fusion styles, with the Kung-Fu Masters and his own MonAtomic groups, among other line-ups. On the other hand, he's a precociously talented straight ahead player, with a gritty and exuberant approach displaying traces of such illustrious forebears as Dexter Gordon, John Coltrane and Michael Brecker. The two strands overlap, of course, as do the personnel of the bands. 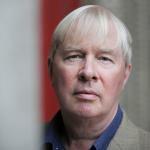 But so far, under his own name, Nowell's studio focus has been on straight ahead performance, first with Firewerks (Posi-Tone Records, 2007), and now with The Seeker, on which he moves between the fierce and forceful and the lush and voluptuous to devastating effect. On Firewerks, Nowell led a two-saxophones and rhythm section quintet. On The Seeker he fronts a quartet, with pianist Art Hirahara and drummer Joe Abbatantuono held over from the earlier album and joined by new bassist Thomas Kneeland. There are cameo roles for two guests, cellist Dave Eggar and guitarist Nir Felder, whose brief appearances, Eggar's especially, are quite wonderful. 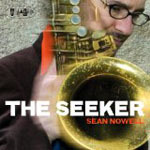 As the opening track title suggests, The Seeker's predominant vibe is a modern day re-energization of the East Coast hard bop of the 1950s and 1960s. Nowell stays mainly on the "inside," Hiraha veers closer to Andrew Hill or Cecil Taylor than he does to Sonny Clark or Wynton Kelly, and Abbatantuono and Kneeland attack with a hard bop vigor dusted with successive decades' rhythmic dalliances, including funk, jazz-rock and fusion. The result is a chilli-hot stew of galvanizing intensity. Nowell, the chief soloist, also turns his hand, with sumptuous effect, to a couple of ballad covers, Lennon and McCartney's "I Will" and the particularly gorgeous, Don Raye and Gene De Paul composed "You Don't What Love Is." Eggar's cello, in lovely counterpoint with Nowell, states the themes of the traditional klezmer tune "Oy Matze Matze," Nowell's astringent "Jamie's Decision" and "I Will." It's on these tracks that the muscular balladeering of Dexter Gordon comes to mind. The album closes with a galloping reading of Victor Schertzinger and Johnny Mercer's "I Remember You." Written in 1941, its pace and attack here are totally 2009 and Nowell and Hirahara's solos range further "out" than they do elsewhere. A reminder, if one were needed, that style categorization remains an inexact science.